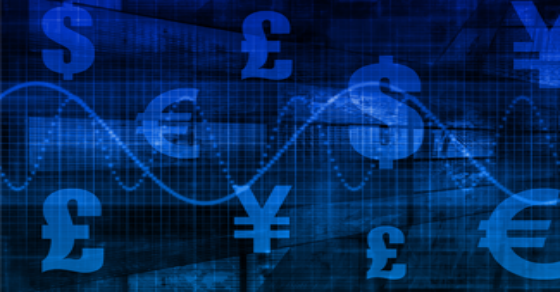 FX Monthly Outlook: Is Suzerainty Making a Comeback? With trade wars, major political shifts and looming elections leaving many to wonder whose interests will dominate the world, the reference is strangely apropos. Italy has a new government. Just days old, it begins the difficult task of ruling a sharply divided peninsula. Promises of voting to leave the E.U. and making an Itexit, implementing universal basic income and even running trains on time will be watched around the world, as Eurosceptic sharks relish the scent of non-Greek blood in the Mediterranean. The G7 nations descend on Canada June 8 and 9. While various published agendas describe the focus as being on strengthening the middle class and advancing gender equality, realpolitik aficionados will be eagerly awaiting quotes from G6 leaders regarding the U.S. implementation of tariffs. Italy took the world on a rollercoaster of emotions and bond prices as its last election produced a new coalition encompassing many political stripes. A last-minute rejection by Italy’s president caused markets to believe a new election, and a stronger Italian swerve away from the E.U., was imminent. Italy opted instead to switch key positions in the new cabinet to assuage President Mattarella’s concerns about an Itexit vote. North Korea and the U.S. kept everyone guessing on the status of the summit as both sides leaked their intent to cancel. As of June 6, the summit is on and the prospect of full nuclear denuclearization is keeping markets looking squarely at China to muscle through a beneficial compromise for its client state. Mexico has LATAM watchers on edge as the July 1 presidential election nears fever pitch. The runaway front-runner, Andres Obrador, has been very clear that Mexico will no longer play second fiddle to U.S. interests. But, his indications of reversing oil deregulation and putting agricultural interests above most other priorities hints that another profound devaluation of currency is possible. Companies, nations and multi-national organizations frequently have to revamp to stay relevant. In a world where currency becomes the most potent weapon in a national arsenal, the results for companies can be difficult to safeguard. Don’t be left betting on which national agenda will win out. Work with an FX expert to safeguard your company from twenty-first century suzerainty. SVB can help minimize foreign currency risk and maximize returns. Our advisors and traders utilize the latest currency hedging tools to help you buy, sell and operate effectively in an increasingly volatile global marketplace, and gain a competitive advantage while managing global currency risk.